Ordinarily it would take a serious PR job to get the likes of portrait artist Jonathan Yeo to your first solo art exhibition, but then the surname Zeloof carries a fair bit of clout around the East End’s contemporary art scene. The family bought Brick Lane’s Old Truman Brewery just over 20 years ago, transforming the 11-acre former home to London’s largest brewery into a hive of galleries, studios and event spaces that would help forge a burgeoning arts hub and make it more accessible to the public. So when family matriarch and sculptor Ahuva Zeloof was thinking about where to stage her own solo exhibition Evolution, there was really only one choice. “It just has such an uplifting atmosphere,” she says of the iconic venue, which is now run by her three sons Ofer, Oren and Jason. It was this ‘family’, as well as members of her biological family, who inspired Ahuva to explore her own artistic expression. She took short courses in sculpture, experimenting with a variety of mediums until she discovered stone. 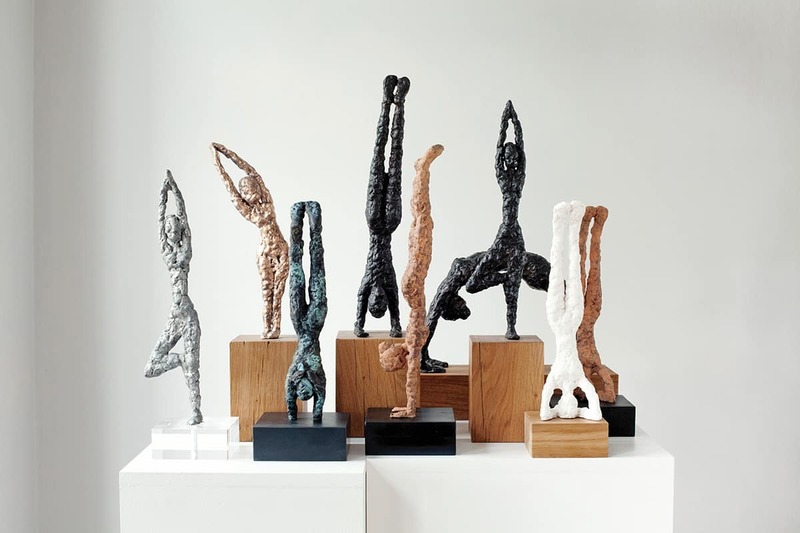 The stone and bronze-cast pieces in Evolution range from carvings of faces and figures to mouldings and casts that explore Ahuva’s relationship with the human body; primarily the female form, an interest she developed while practicing as a yoga teacher. This work on the female form landed her name in with hundreds of international female artists that contributed to 2014’s Spirit of Womanhood, a one-off exhibition of works promoting dialogue among women on an international scale. Her first solo exhibition might have been more than 20 years in the making (due, in part, to raising a family, running a business and a couple of broken arms), but one benefit of the long lead time has been Ahuva’s front row seat to the rapid growth of the East End arts scene, in which she has also played a significant role. “When we started out [Shoreditch] was arty but there wasn’t that many places for people to see it,” she explains. “Now, there’s so much more available and it’s so much more visible… it’s even on the street with the graffiti, which is now going into galleries – and whether you like it or not, you still see it. Evolution is on at Old Truman Brewery until 15 October.